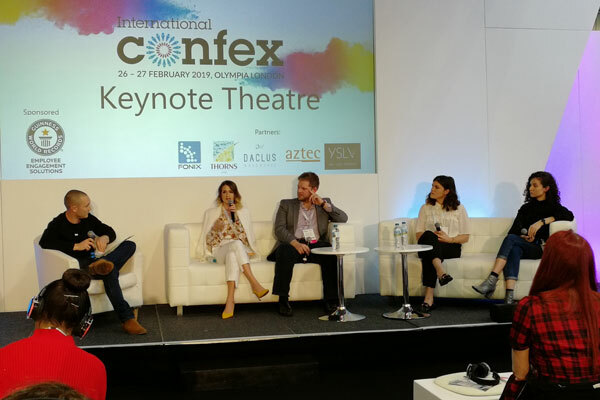 The final panel on day two of International Confex took place on the main stage, where a panel of industry experts discussed ‘the future of our industry’. On the panel were El Clowes, Unicorn Events, Bruce Rose, The Live Group, Amber Maher, EIGHT PR & Marketing, and Hollie Light, AAT Events. One of the topics of discussion was millennials, and the challenges of appealing to such a broad demographic. Some panel members questioned the usefulness of the term, which can refer to anyone between the ages of 17 and 37. The importance of using Facebook events to bring communities together was raised, as was using testimonials of past event delegates for authentic marketing. 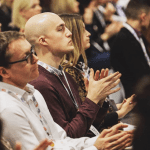 All panel members agreed that consumers are becoming more savvy to marketing techniques in 2019, and campaigns need to connect to people on a more individual level. “Marketing is the driving force behind events. But people are viewing marketing campaigns differently. You need to be more personal, open, honest,” said Maher. The panel discussed marketing buzzwords, and advised against throwing them around out of context. They touched upon Fyre festival as an example of what can go wrong when people buy into empty marketing. Finally, the panel were asked what they thought would be the themes of events in the next years, and pointed to increasing personalisation of events as well as the shortening of verall event times.